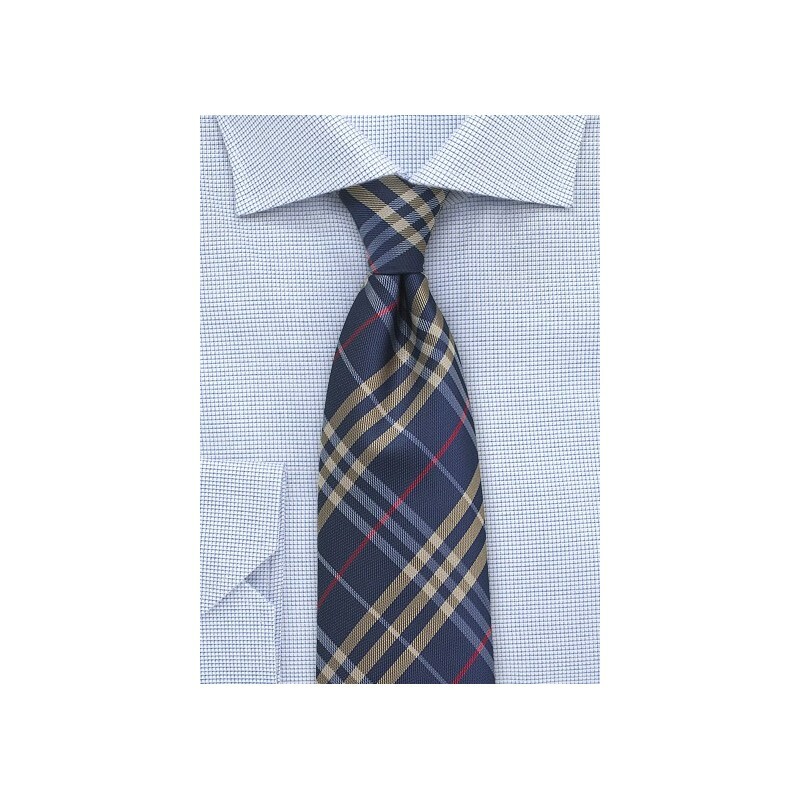 This navy blue, golden -tan, and bright red color combination is our favorite out of Puccini's new Tartan Plaid collection. 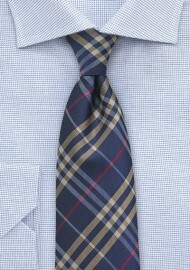 It is a fantastic color combination that truly sets yourself apart from all the other tie wearers out there. For best effect pair this tie with a classic white button up shirt, beige summer suit, and add a matching solid navy pocket square to your breast pocket. Made in microfiber and available in two other stunning color combinations.